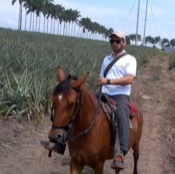 About Andres C. Message Andres C.
Private guided tour visiting salento and the wonderful wax palm. There is not enough characters in this block for me to truly express how great this was. We had such an incredible time with Andres that we were left in awe and full of knowledge. My wife and I have been traveling through South America and have done a few tours now and by far, this has been the best! Andres was not only a great host, but his knowledge and experience with coffee and the region was worth the entire trek alone. If you are going to do Salento with a guide, Andres is the only name you need. Very informative guide. He was also flexible about time spent at the sites we wanted to see. Price was very reasonable. Totally private tour with fun extras. Andres was a fantastic companion, not just a tour guide. 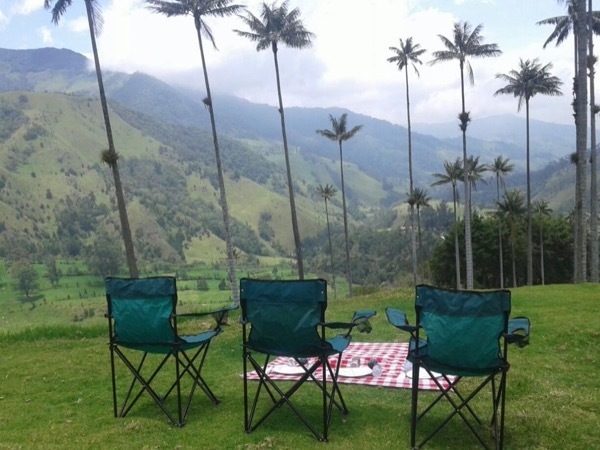 His various interests and entended knowledge turned an eight-hour trip to Salento and Cocora Valley into an unforgettable experience. Andres is a resorceful and effective organizer as well a person of impeccable manners. And there's one vital forte of Andres: his English. If you would like to spend an enjoyable day walking amongst majestic wax palms and colourful streets of Salento, do not hesitate and require Andres as your guide. TOUR GUIDE RESPONSE: Thanks! I really appreciate those words... I have been working to improve something every day... You two are awesome! I hope you have a great trip back home. Without a doubt my best tours in Colombia. The disposition and confidence generated by Andres is excellent !!! He is a luxury guide. Andres made our trip to the Armenia area truly memorable. Since he is from the area he knows not only the history of everyplace but he also share many stories that only a local would know. Andres put together the perfect itinerary, from places of interest to meals that were typical and always delicious. We can't say enough about how much we enjoyed our 3 days touring the area. It was truly one of our most enjoyable and interesting short trip we've ever taken. And as a bonus, Andres is a great guy! !